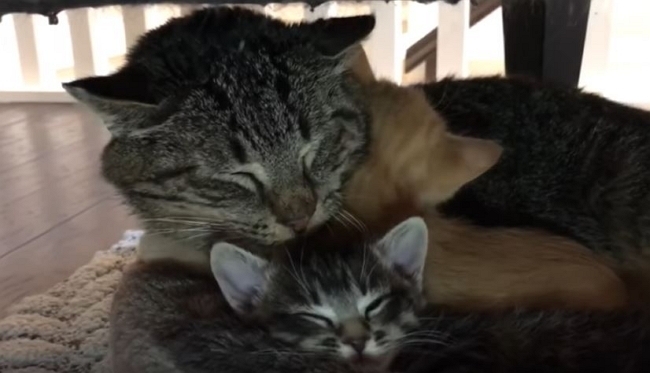 You need only watch the interactions between senior and kittens to see a magical transformation for the three lives involved. Mason was the epitome of a feral cat. 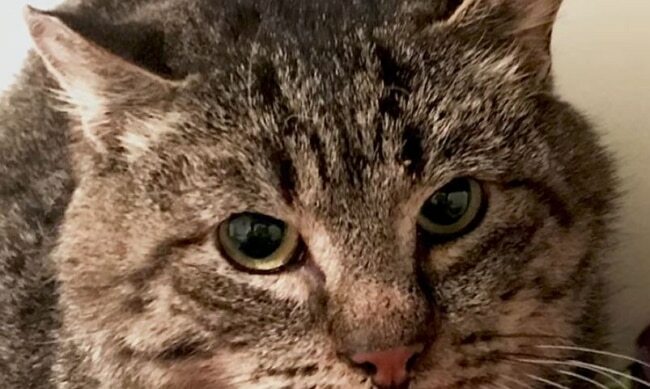 A badly injured foot, abscessed teeth, and advanced kidney disease would make most any person, let alone a cat who had spent most of his life alone and fending for himself angry and untrusting. Still those who took him in felt he deserved to spend the remainder of his days being fed, warm, and being looked after. It seemed as though things couldn’t get much better for Mason as he lived out his senior years. 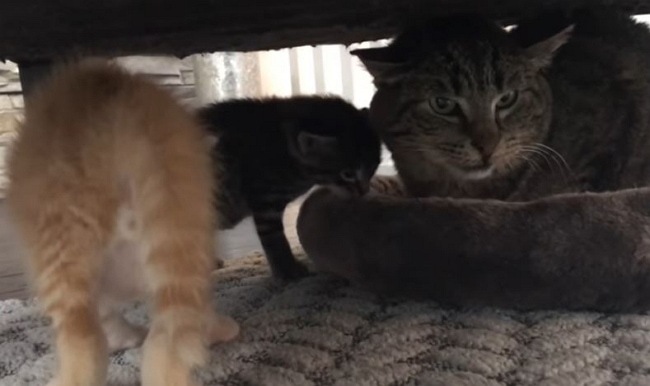 Enter two foster kittens and the results? You need only watch the interactions to see a transformation for the lives involved. 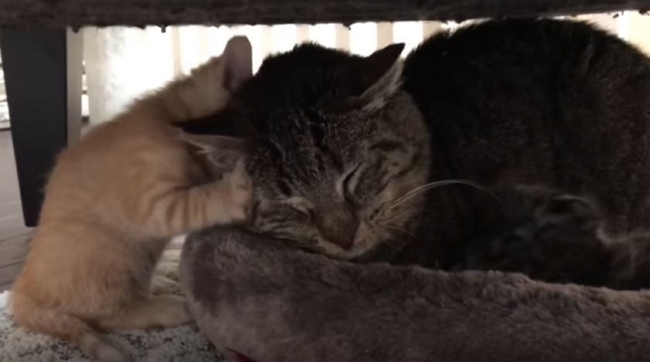 A complete and total example of unconditional love, something both Mason and these kittens needed so desperately and found with each other. To see how Grandpa Mason and his two kittens are doing, visit TinyKittens.com and to learn more about all this wonderful organization does.